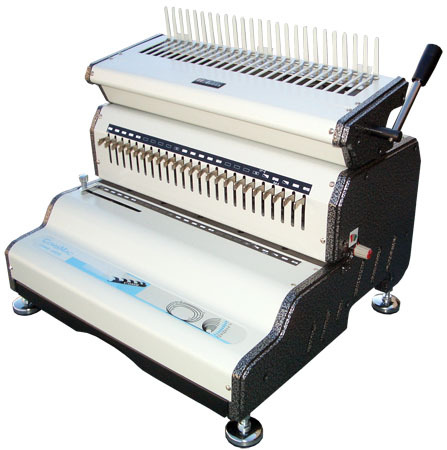 With its heavy duty punch motor and complete system of functions, the Akiles CombMac-24E makes comb binding fast, easy, convenient and professional, making it the ideal partner forcommercial volume workloads. With its heavy duty punch motor, built-in comb opener and complete system of functions, the Akiles CombMac-EX makes comb binding fast, easy, convenient and professional. Heavy-duty modular plastic comb opener that allows you to open and close all standard size binding combs (from 1/4″ up to 2″ in diameter) and up to 14″ in length. Its simple-to-use & all-metal construction design guarantee high productivity and durability.